Fallout: Lonestar isn't just any old Fallout: New Vegas mod. It might just be the most ambitious, coolest-looking Fallout mod currently in development. The video above is a development diary with the project lead, Christopher Means. He breaks down what makes Fallout: Lonestar so interesting: the game takes place 50 years before New Vegas, and it takes you down to Texas. Fallout in the south sounds interesting to me, especially given that this is a total-conversion mod—there will be a ton of new assets. 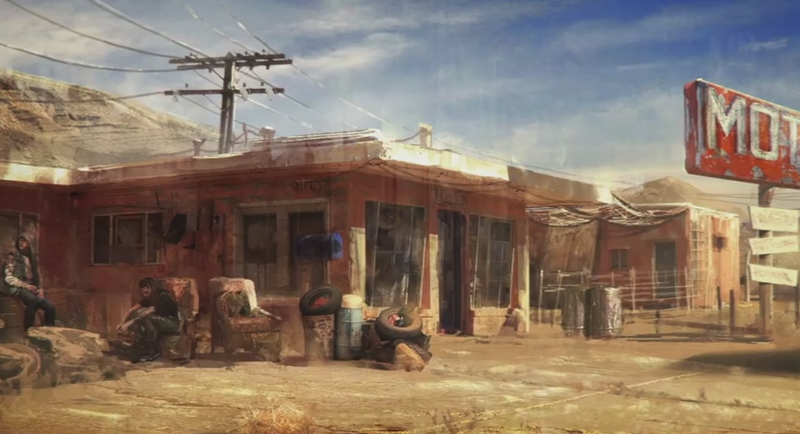 The game won't just look like Fallout: New Vegas, with stuff rearranged a bit. It helps that the game looks like it'll have neat enemies, locations, a focus on companions and Chris Avellone, one of the designers on Fallout: New Vegas, seems hyped on the project too. Currently there's no release date on the mod, but there is a lot of pretty concept art to look at. I'll take it!